Mommyhood and exhaustion basically go hand in hand, it just comes with the territory. But it really gets tough when you lack the motivation or energy to get everything done… and then do it again tomorrow. I have found that the trick to seamlessly getting through morning drop offs, work, exercise, laundry, cooking and everything else that comes with the day is having a daily morning routine that sets your day up for success. 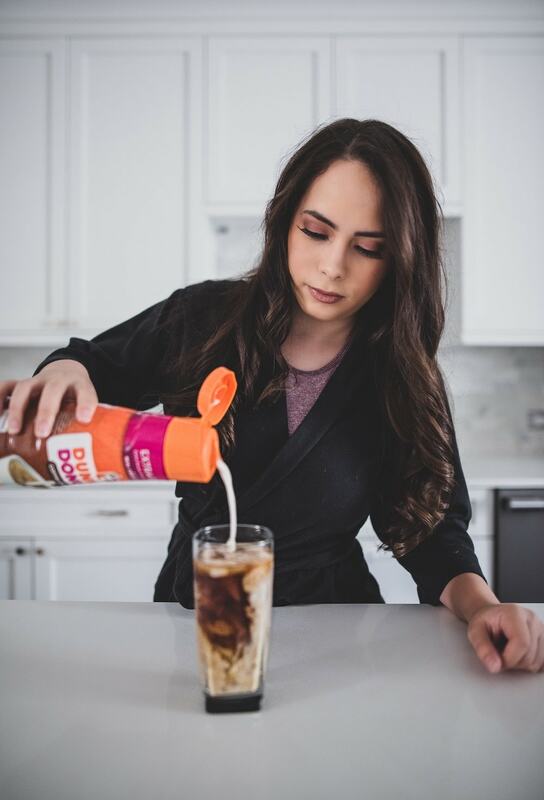 I’m not going to lie, drinking my morning coffee with a tablespoon of Dunkin’ Donuts Extra Extra creamer is a huge part of my mornings, but the entire routine is important. **** Do not check your phone until the kids are up. Technology is stressful and you do not want to hear any bad news or be annoyed in the morning. Wait until you are done with your routine to get on your phone. Wake up an hour before your kids so that you can enjoy a good amount of time alone. I know it’s hard to wake up earlier than the kids, but the peace and patience it brings you is totally worth it. Plus, your body will adjust once it sees how nice it feels. And this is coming from someone who is absolutely not a morning person. Open the blinds and windows for some daylight and fresh air. Wash your face & brush your teeth. Head to the kitchen and make yourself a nice, big cup of coffee. 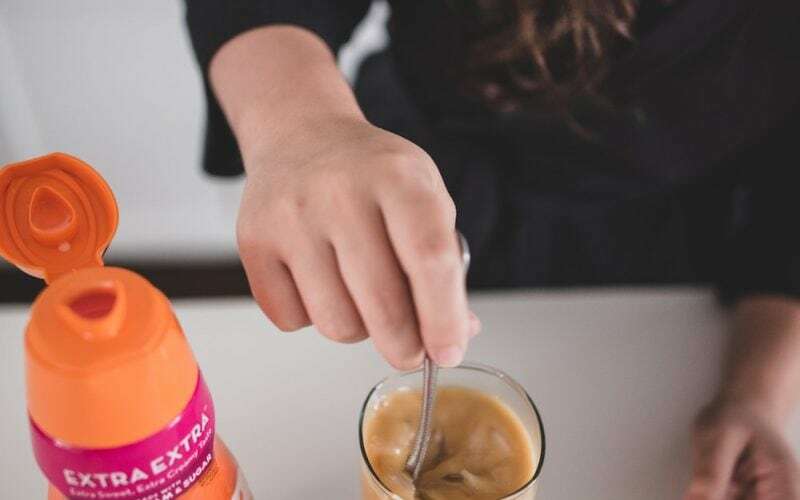 It’s no secret that coffee makes for a great start to the day, and it’s even better when you get to drink it alone with some sunshine! I’m really loving the Dunkin’ Donuts Extra Extra creamer because it is made with real sugar and cream. Plus it is so smooth and tastes amazing! 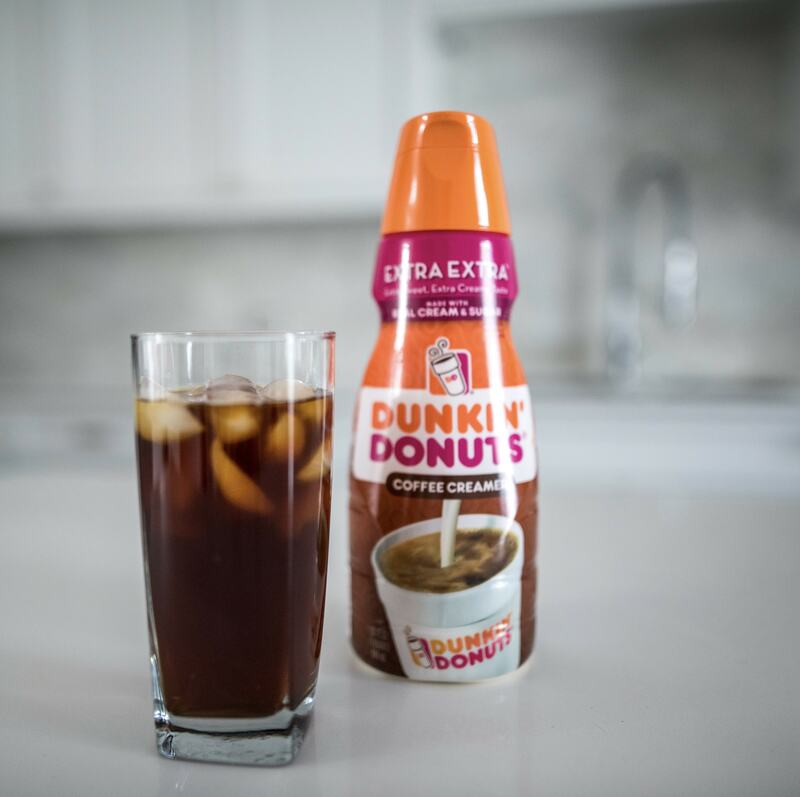 The right creamer makes all the difference when it comes to your coffee and the Dunkin’ Donuts Extra Extra Creamer starts my day off on the right foot and keeps me going the entire day. 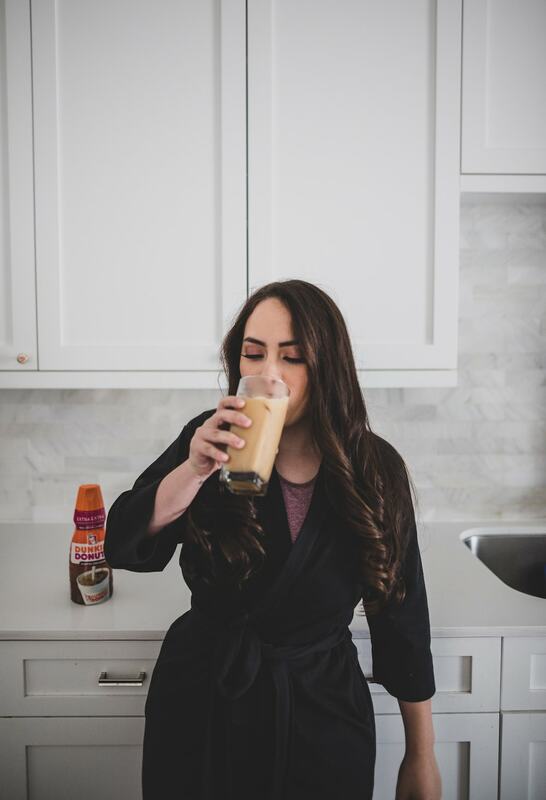 From getting the kids through their routine to making it through work and my workout, the perfect morning coffee makes it all manageable! Listen to something positive like affirmations or music that makes you feel good while you drink your coffee. You can also journal, whichever your prefer! Enjoy some food, either your breakfast or a morning snack, alone before the kids wake up. Remind yourself that you are amazing and prepare to take over the world! That’s it! It’s simple, but makes all the difference in whether you start your morning on a good note or on a bad one. And mornings set the tone for the rest of your day, so make sure your daily morning routine is a good one! Disclosure: This blog post was a sponsored post, but all opinions are 100% my own.